Lips are the defining feature of your face with full lips considered a symbol of youth and beauty. There are many factors involved in achieving a well-balanced and natural looking lip. Areas to be considered are the border and the fine lines surrounding the lips, corners of the mouth and restoring volume to the thinning aged lip. Along with providing symmetry to the lip some women feel their lips are too thin and dermal fillers can help volumise their lips. Kris our nurse injector will always take the ‘less is more’ approach, ensuring that your end result is a set of beautiful, natural looking lip. Who might benefit from this treatment? Lip filler is a delicate art. 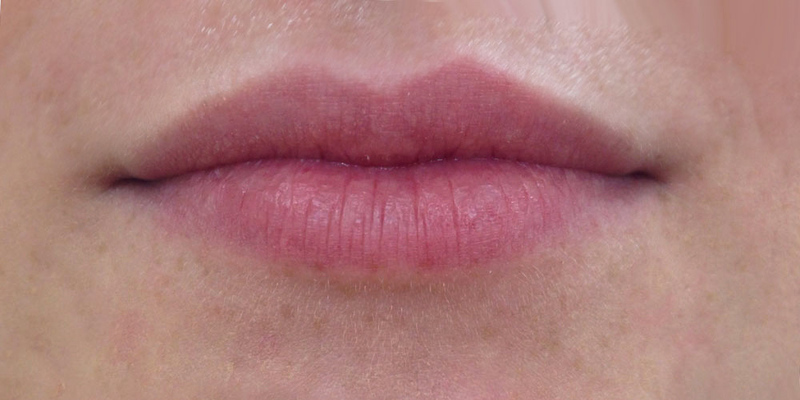 Book in to have a detailed consultation to discuss your lip enhancement goals and what can be achieved with your lips. The treatment takes between 30­–40 minutes. You will need to arrive 30 minutes prior to your appointment time to have a topical anaesthetic cream applied to your lips to numb the area. Dermal filler is then delivered through a fine needle at several injection points until the filler is evenly distributed through the lip. Several types of fillers are available and Kris will discuss the appropriate one for you. The effects are instantaneous. After lip enhancement injections, your lips and surrounding area may be swollen and tender for a few days. Ice can be used to help with swelling. Lip balm is recommended to help prevent dry lips. If there are any lumps you can massage them gently a couple of times a day until they resolve. However, they will resolve on their own. The risks of lip enhancement are minimal and generally temporary. You may experience swelling, redness and or bruising which can last between 3–10 days. Side effects that are more serious are rare but may include infection or allergic reaction. If you are prone to getting cold sores it is recommended to start a course of antiviral tablets on the day of treatment and continue for 5 days. If you have any concerns, contact the clinic immediately.